When considering energy efficient improvements for your home you may start looking towards your windows. After all, they let in a lot of sunlight which instantly heats up the room and the direct sunlight can also damage and fade things like upholstery, drapery and furniture. There are many options to choose from in terms of window coverings such as solar screens and window tints. But, not all energy efficient options are created equal. In fact, solar screens are vastly superior to window tints and below we will explore why they are better. The first problem with window tint is that it does not actually prevent the sun’s rays from coming in contact with the window. This means that while it may prevent some of the sun’s rays from getting inside, they will still have a chance to heat up the windows which will then radiate heat into your home. Window sun shades, on the other hand, stop the harmful rays from touching the window itself and provide an extra layer of insulation to provide a much more efficient protection for your home. 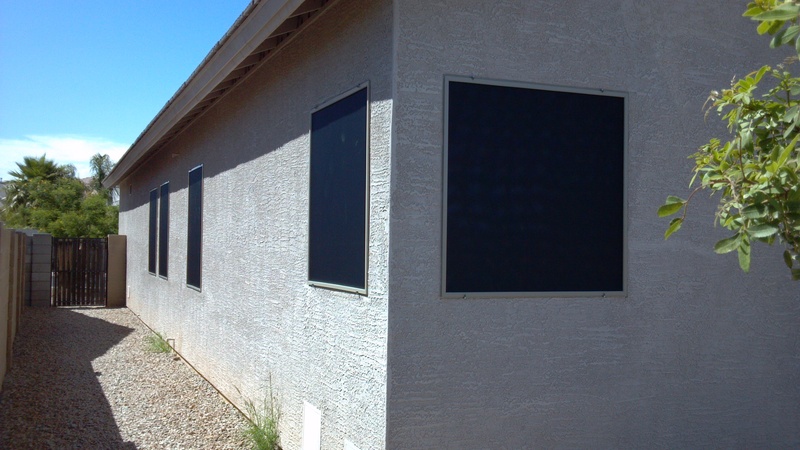 When strictly comparing which is better for heat reduction in the home, solar screens are, hands down, the far superior choice. Window tint or film can be completely invisible while providing some slight energy efficiency improvements but it can also be easily damaged. Great care has to be taken to ensure that even cleaning does not scratch or leave marks on window tint. Also, they can be removed easily if need be whether for maintenance or any other reason. Window tint or film, however, cannot. Window tint and film is permanent and without a significant amount of time and money, or complete window replacement, it will not be removed. Solar screens, additionally, pose no threat to the windows they protect, unlike window film. Window film, once installed, could potentially damage the windows they have been attached to. Window film can actually cause thermal shock fracture on insulated glass windows. Because of this, most window manufacturers will void warranties if window film has been installed. Additionally, if window film is not installed correctly it could bubble up or show lines which is not only frustrating but a very obvious unsightly blemish. 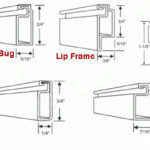 With all of these drawbacks it is easy to see why most people opt for solar screens instead of window films or tints. While both provide some level of energy efficiency improvement, exterior sun shades provide much more and pose no threat to the windows they are attached to. 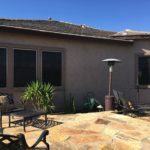 If you want to really see a tangible difference in your utility bills each month while maintaining your window’s manufacturer’s warranty and not risking damage to your window, solar screens are the way to go.